100% Pure uses Real fruit pigmented ingredients in their makeup and cosmetics. Vegan, gluten free with no synthetic chemicals, preservatives or harsh toxins. Skincare is about taking care of your skin is it not? Did you know that many popular major brands who create Makeup, cosmetics, and other skin care products contain harsh chemical toxins? Up to 60% can be absorbed into the skin and bloodstream? Not to mention all the preservatives, artificial and synthetic ingredients. Many companies still use animals in their testing of their products (see image further below). What about your young ones? Do they use makeup and other skin care products such as Shampoo, Eyeliners, lip gloss etc? What about your teenage children? Did you realize that children can absorb up to 40 to 50% more toxins than adults? Do you prefer them using such products on their skin and having a high risk of this being absorbed into their bloodstream? Have a good look at what could happen with the toxic chemicals, many are quite dangerous to you and your children’s health. 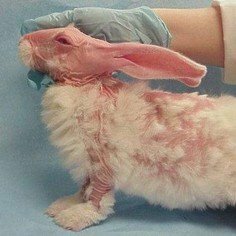 It seems that when testing for chemicals, some companies (or those they use privately) use animals who suffer for testing purposes. Now replace these animals with your pet. How would you feel then? 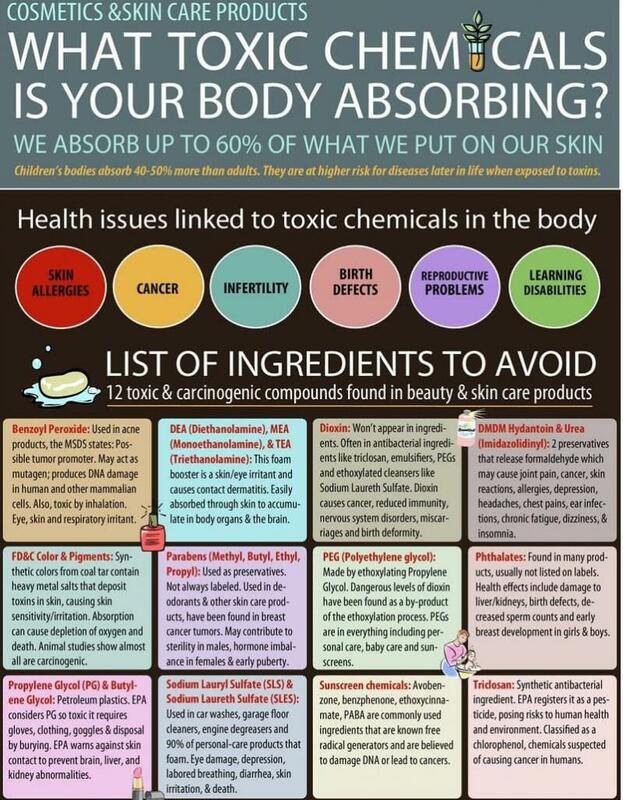 Here is a chart of what some ingredients found in many of these so-called beauty products can do to you. During my research, I found a couple of places of some well-known brands that contain many forms of chemical, preservatives, synthetic ingredients and much more. Not only that but many in one way, shape or form are still testing on animals or re-wording this as you will find out further on. See how many names you know or heard of? 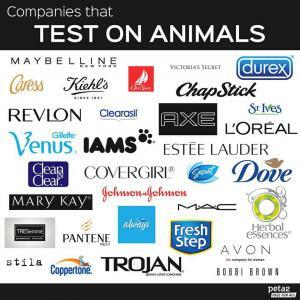 Some of these companies claim to have stopped animal testing. I know China still does animal testing and many companies send their products for testing there or get outside groups to test on behalf. How many do you know or heard of? I found a great article regarding the above title. This will show you some of the companies and their misleading claims according to Peta. Now for the good news for you. Although there are still many companies testing their products with animal testing. In my opinion and hopefully yours, this practice should stop ASAP on a World Wide basis and not just a few countries. Don’t forget the dangers, with the use of various chemicals, synthetic and artificial ingredients used in their products. To think using the words chemical, artificial and synthetic ingredients in the same sentence for skin care and cosmetic products says something in itself don’t you think? This is why I found the value of being associated with 100% Pure. Being in Australia myself I have included the opportunity for my Australia Visitors to gain a healthy and happier approach to the Australian Site which you will see below. 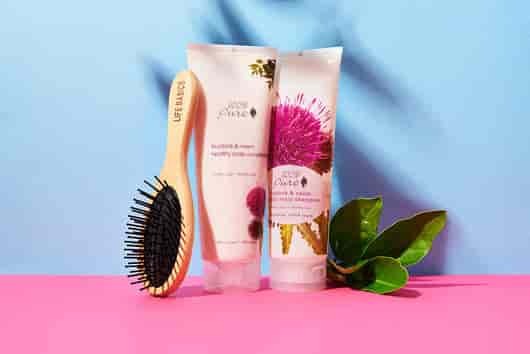 For those outside of Australia, you will find another site in Nourished Life which ship all their product internationally which will give you many choices of skin, hair care, and many other cosmetic and healthcare products beneficial for not only yourself but for your family, friends, and children. Remember children can absorb up to 40 – 50% more than adults. So when using such products that contain the toxic chemicals and preservatives as mentioned about you might want to ask yourself how important is your health and the health of your children? 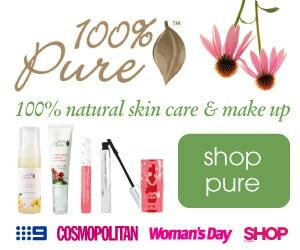 All 100% Pure Products are available through Nourished Life Australia, with international shipping available for those overseas. What does that mean Natural? Well, it means they for one don’t use any form of animal testing they do state “the only animal ingredient we use is cruelty-free beeswax & honey”. The 100% natural means natural ingredients, no synthetic chemicals, no artificial fragrances, no chemical preservatives. The ingredients used are Fruit Pigments such as Strawberries, Blueberries, blackberry, and pomegranate, cranberry for example. The cosmetics are colored from the various fruits and vegetable from their pigments all 100% natural. Such as the Blackberry mascara or the pomegranate wine lip gloss (yes, a combination of red wine and pomegranate and no, you can’t drink it LOL). Not only are they 100% natural coming from the pigmentation of the fruits and vegetables but when you apply them to your skin, lips etc. You are also applying the many antioxidants and vitamins directly to your skin. For detailed information on 100%, Pure Products click the image below. Avoid the toxic chemicals harmful to your skin and bloodstream. 100% Pure your healthy alternative for skin and body. 100% Pure not only has natural ingredients but has no synthetic chemicals, no artificial fragrances, no chemical preservatives, and the other big part is they are animal cruelty-free. Which simply means that don’t test on animals because they use no chemicals. Would this be a better option for you and your family? You too can find the benefits of using 100 percent pure. Having these cosmetics and skin care in your life is not only natural but you are also benefiting from the antioxidants and vitamins on your skin. Remember the statement at the beginning? About 60% is absorbed into the skin well instead of harsh chemicals being absorbed you now have vitamins and antioxidants absorbed into the skin and bloodstream instead. Isn’t that a better choice to benefit from? Don’t forget Children absorb up to 40 to 50% faster than adults. Think of how beneficial this is not only to your skin and body but also your children and young teenagers and their skin. A win-win result for all. The main aspect you may need to consider and this is your decision to make. Do you prefer continuing having chemicals, preservatives etc. that enter through your skin and your children? Would you prefer having a natural and chemical product that is 100% Pure? 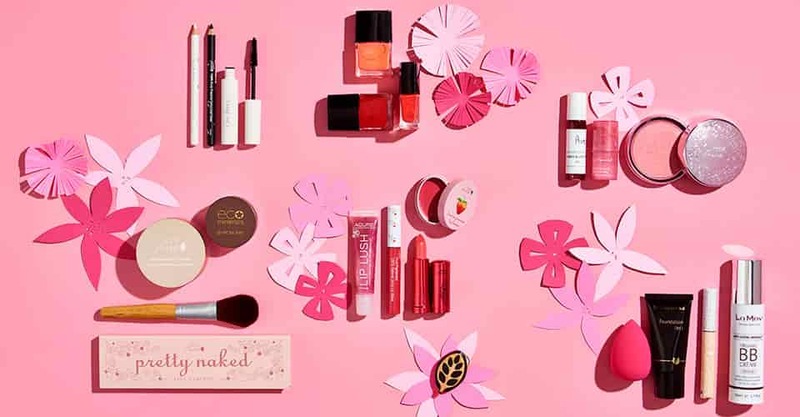 This could be for makeup and cosmetics using the natural fruit and vegetable pigments that will provide some antioxidants and vitamins that can be absorbed into your skin instead? Below is an except stated from change.org that might shock you about animal testing not only in China as mentioned above but also in the US as well. “As you read this, hundreds of mice, rats, cats, dogs, birds, rabbits, monkeys, and other animals are dying in cruel and unnecessary medical and product-testing experiments. In fact, 219 animals are killed every minute in a U.S. lab”. As a result of my own research. I was shocked to see so many brands listed earlier above. Some that my family have and used without realizing that animal testing has been involved. We as a family have decided not to use these products but will be using those free from animal testing along with the skin care and makeup. We are now using organic and natural 100% pure products instead. I certainly hope you feel the same way and that 100% Pure is the better option. I feel it’s time for companies to stop this abuse of testing on animals just so they can line up their financial pockets. In future posts, I will also mention other great products that will be of benefit to you so stay tuned. 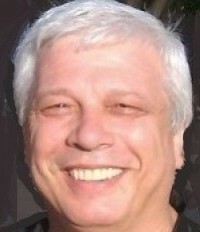 If you wish to leave a comment on anything mentioned here you are more than welcome. Wishing you all well stay safe and keep in mind what other products you may be used in and around the home. It may be bad to see and know that other animals are being tested upon and it may not affect you as much. Can you image your pet being tested? It may be bad to see and know that other animals are being tested upon yet it still may not affect you as much. Imagine that your pet has been taken away and being tested on how does that feel now. Yes, it tough to swallow when it happens to you. Can you enjoy your children or yourself absorbing such toxins and other chemicals as stated above? These are the long-term effects on the skin and body. Perhaps this is a great opportunity to change and try something safer for all concerned, animals, children and you. If you have purchased any products from 100% Pure let me know what there were and how you found them to be. Just place your review in the comment sections below. Look forward to hearing your thoughts and views. Give 100% Pure a fair go and see the difference it can make in your life and your skin overall. So try using 100 Percent Pure Fruit Pigmented Cosmetics and feel the difference that will be so much beneficial for your skin and body. Copyright Learn Earn Grow Online Affiliate Marketing – 2014 -2019. All rights reserved.